Constitutional validity of Aadhaar has been upheld by the Hon’ble Supreme Court of India in September 2018. Consequently, in terms of Section 139AA of Income Tax Act., 1961 and order dated 30.6.2018 (F. No. 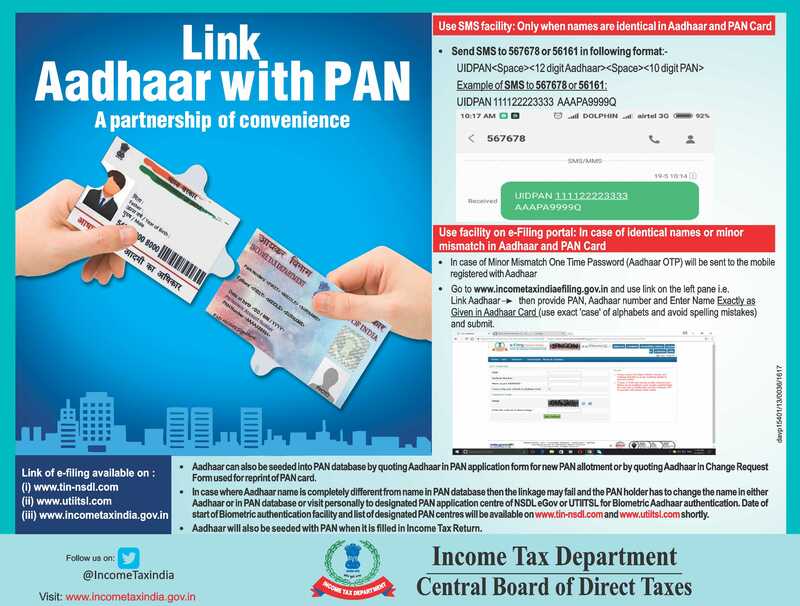 225/270/2017/ITA.II) of the Central Board of Direct Taxes, Aadhaar-PAN linking is mandatory now which has to be completed till 31.3.2019 by the PAN holders requiring filing of Income Tax Return. Procedure for Aadhaar PAN linking has been published vide notification no. 7 dated 29.6.2017 by Pr. Director General of Income Tax(Systems).